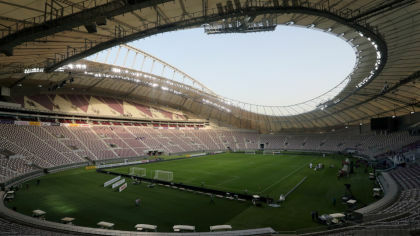 Khalifa International Stadium, also known as National Stadium, is a multi-purpose stadium in Doha, Qatar as part of the Doha Sports City complex, which also includes Aspire Academy, Hamad Aquatic Centre, and the Aspire Tower. It is named after Khalifa bin Hamad Al Thani, Qatar's former Emir. The final of 2011 AFC Asian Cup was held at this stadium. The stadium is also the first completed venue that will host a part of the 2022 FIFA World Cup. In 2017, it received a four star rating from the Global Sustainability Assessment System (GSAS), the first in the world to be awarded this rating. The stadium was originally opened in 1976, but was fully renovated and expanded in 2005 prior to the 2006 Asian Games in order to increase its capacity from 20,000 to 40,000. A roof has also been built on the western side of the stadium, along with a large arch on the eastern side, which was used as a platform for the launch of fireworks during the 2006 Asian Games opening ceremony. Before its renovation it was used mostly for football matches, but it includes facilities for many other sports. Since 1997, it hosts the annual track and field event Qatar Athletic Super Grand Prix, now as part of the IAAF Diamond League. 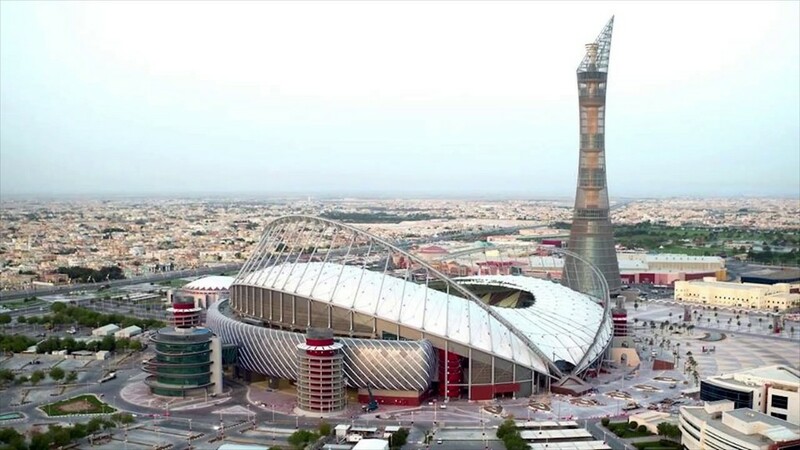 It is currently the stadium of Qatar national football team. It will host the 17th IAAF World Championships in Athletics in autumn 2019.